Yep, they're almost here! 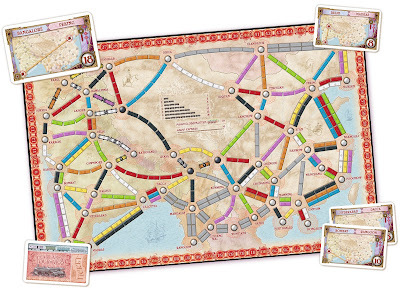 Two new sets of maps for Ticket To Ride, one of the greatest games ever invented, and they're supposed to be available before the end of the year. 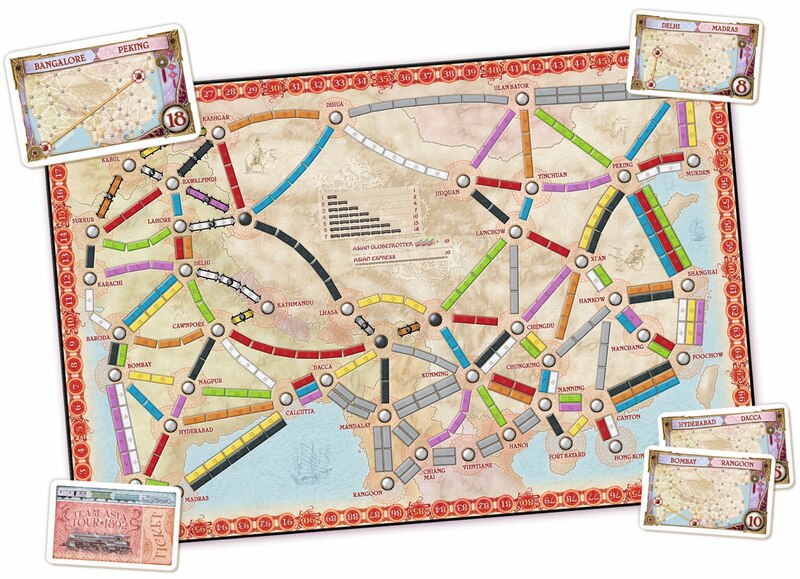 These include two of the TTR map contest winning designs and there are also some clever new rules to go along with both sets (including a team variant!). You can read the new rules at the Days of Wonder website. 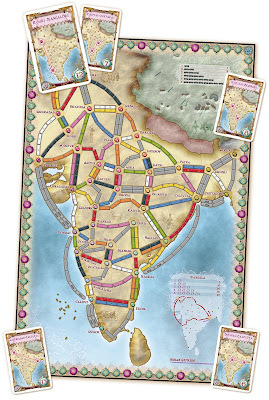 Legendary Asia, with mountain passes that destroy your trains! Wicked. I must admit, maybe not to anyone's surprise, that I spend an inordinate amount of time reading the rulesets of games that I don't actually own. There are a couple reasons for this: one being that I find gaming mechanisms rather fascinating, and the other being that a clear set of rules for a game gives me a rather good idea as to whether I and my group of friends will actually enjoy said game. 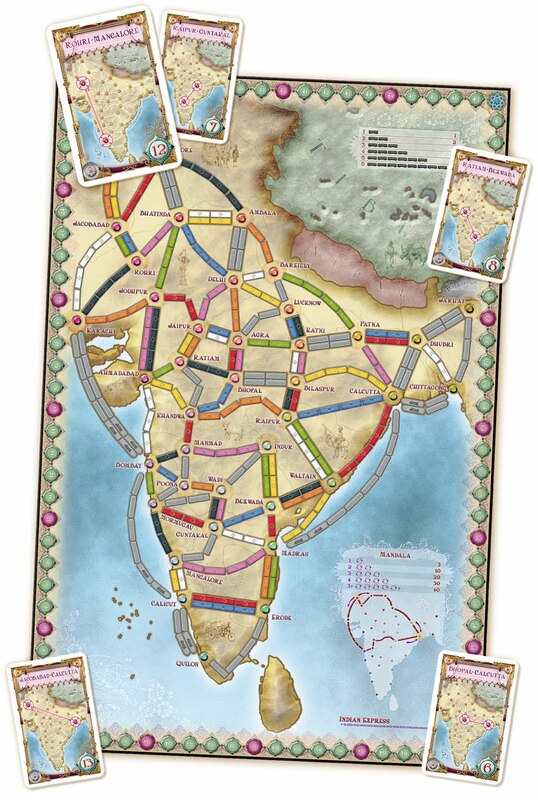 And so far I think my track record has been pretty good: I knew Mord Im Arosa was going to be a riot the moment I browsed the rules and I could tell immediately that Airlines Europe was a beautifully streamlined remake of a family of games that have come before. 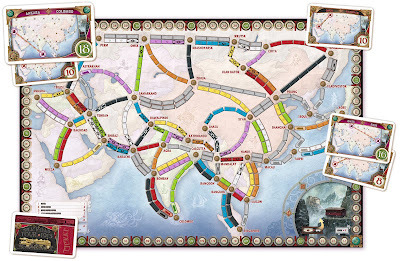 I suppose with a few games I should have gone with my instinct - the overly complex and unreadable rules for Rails of New England, for example, should have clued me in that the game was also overly complex and unplayable - but in general I can get a good feeling about a game once I get a picture of how it plays out. 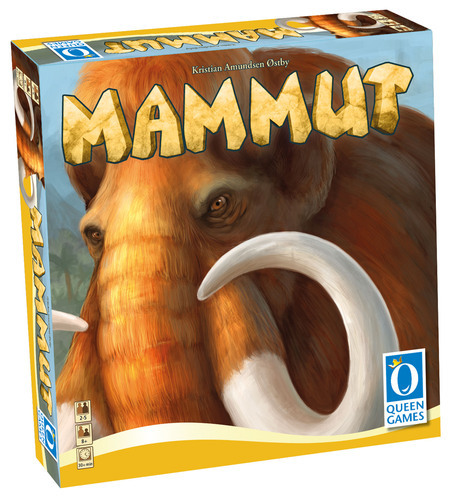 Which brings me to Mammut from Queen Games, designed by the relatively unheard of Kristen Admundsen Ostby. I hadn't read the official rules as Queen never posts their rulesets (you should start cuz you might be losing customers, guys....) but a fairly detailed description of play in another posting told me all I needed to know. And Mammut is really rather simple, the gist of the game being this: you're a bunch of cavemen who just went hunting and you've got to split the loot (31 tiles of various different prizes). 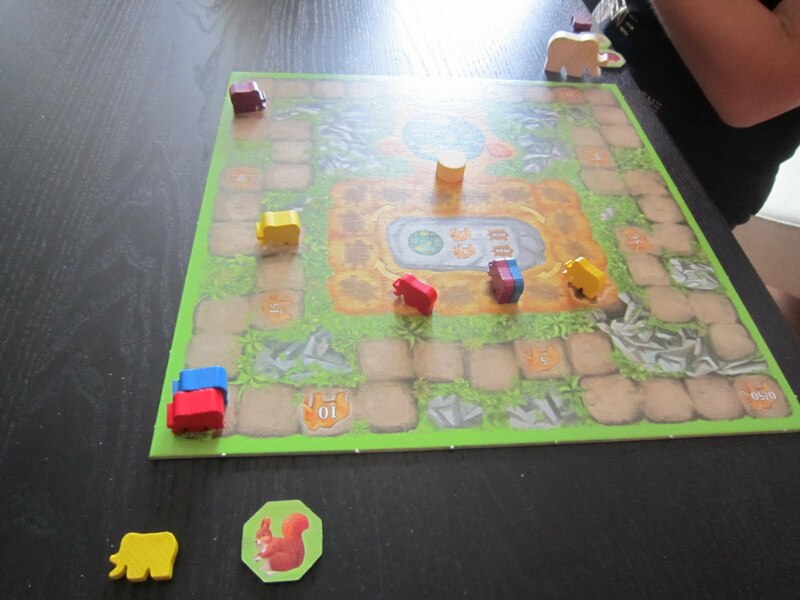 The first player to go takes as many tiles as they want. Seriously. Maybe they take all 31, who knows. The following players can take as much as they want from what is left of the loot or they can turn to a player who has already grabbed some tiles and say, "um, yeah, you're being hella greedy", and take all of their tiles from them, the caveat being they must return at least one tile to the centre. And this stealing and returning goes on and on until the last person without tiles decides that all the loot in the centre is worth enough to him that he'll settle with it. Once players have a settled on the split, the scoring occurs. 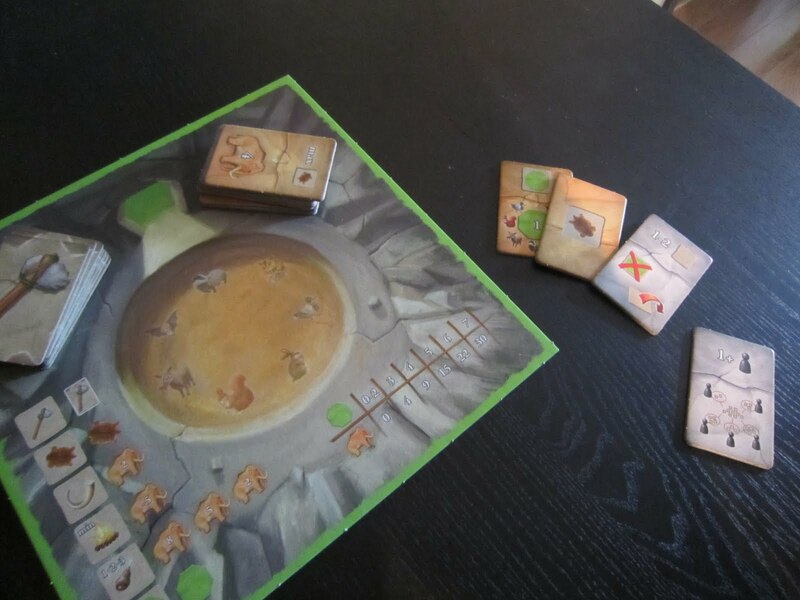 Now, if you're familiar with the excellent auction game Ra from Reiner Knizia, then the scoring of this game will seem all too familiar. Different objects score in different ways at the end of each round. Furs accumulate over the course of the 4 (or 5) rounds, yielding increasing positive or negative points for most or least, respectively. Fires do nothing but punish the person with the least with a nasty -5 points. 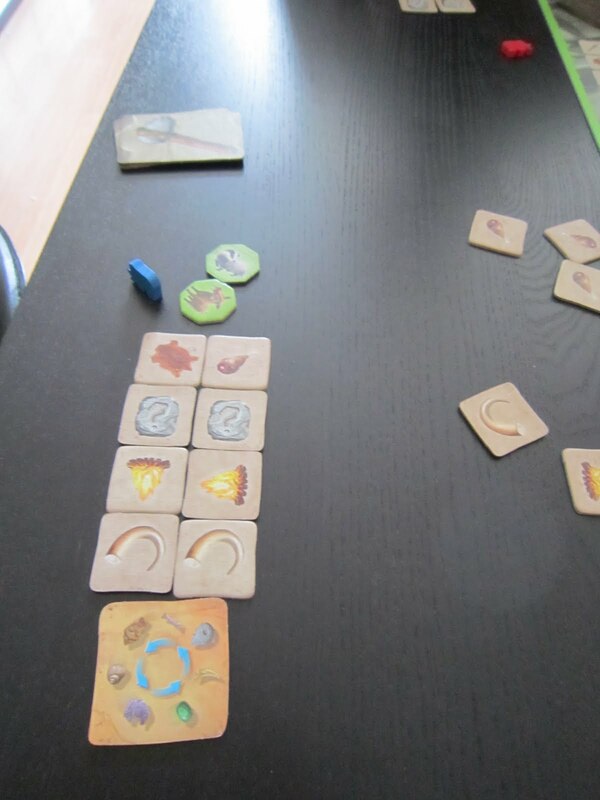 Meat tiles score positive points for 1st, 2nd, and 3rd. And tusks score a flat 2 points each. As well, at the end of the game animal tiles score a major bonus depending on how many you collected over the course of the game (much like the monuments in Ra). 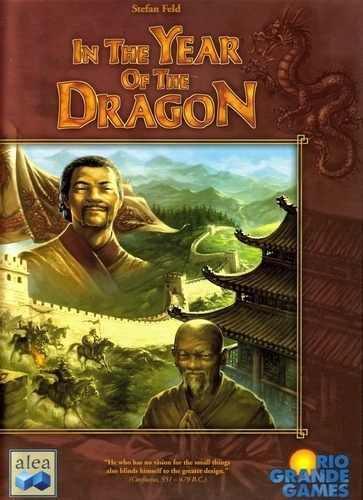 Now if that were it, this game would be an interesting but rather uninspired ripoff off a much older and better game - a one-trick pony which contributed only one interesting mechanic to the mix. However, the addition of the tool cards, the hidden tiles, and the very clever shaman tile manage to take this game to a very different place. 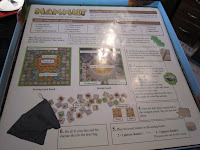 The tool cards are made up of a few fairly simple special actions and a whole bunch of different scoring bonuses. The challenge with the scoring bonuses is you have to play them down and commit to them until the end of the round. 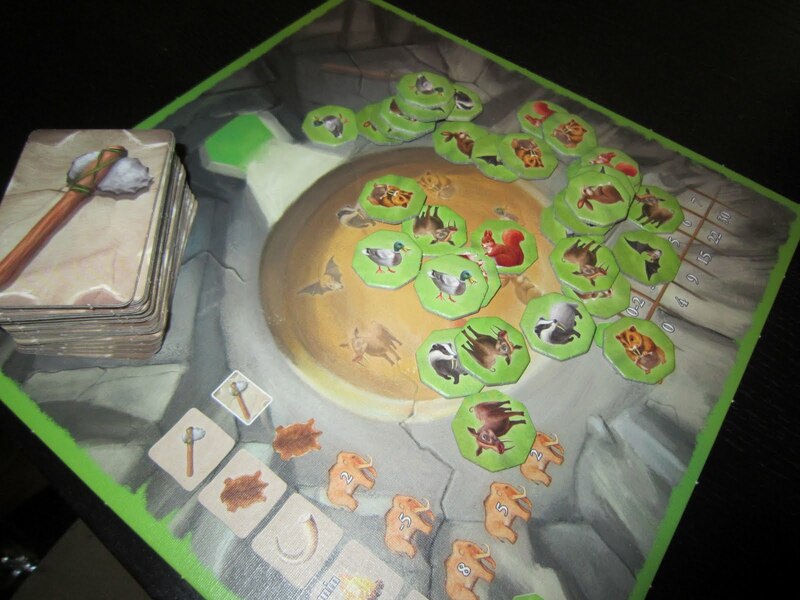 Take, for example, a tile that give a free animal tile to the player who has the most furs at the end of the round. So you play the tool card face down on your turn and then you steal the tiles from your neighbour who seems to have the most furs on the board (keep in mind, some tiles are hidden and revealed to everyone at the end of the round). Suddenly two turns away someone steals your pile of furs and now it looks like the bonus will go to them. Unfortunately, you can't back those scoring bonus cards after you've committed them so you now have to decide whether you steal that pile of furs back with at least two less tiles than before. Agony. As for the shaman tile, well, it's pretty simple. The tile has clockwise arrows on one side and counter-clockwise arrows on the other. Whoever takes it wins all ties during the end-of-round scoring and any other ties are resolved using the direction of the arrow which depends on how the tile falls out of the bag. It's a brilliant way of getting rid of tie-breakers and decisive way more often than expected. This combined with the clever hidden tiles that aren't revealed until scoring all make the game feel like a very polished work. So where does this put Mammut? Squarely in the mid-range of the pack as far as depth and strategy. 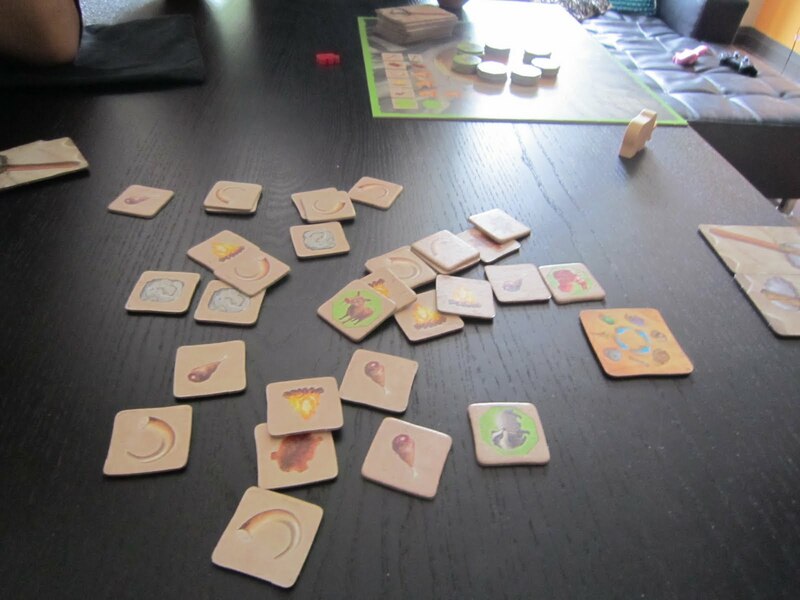 It feels as immediate and playable as Ra due to the simplistic play and the varied scoring but the addition of secret tool cards and hidden tiles add a level of risk to the game that can make it feel at times more akin to Poker. As I said before, I knew as soon as I heard about the "sharing-the-loot" mechanic that I and my friends would enjoy playing this game. What I didn't know is that the addition of a tried-and-true scoring system and some other brilliant design decisions would make this one of the most enjoyable and original games I've played all year. Cap that with Queen's usual excellent levels of production andd clear ruleset and you've easily got one of the best titles of 2011. If you haven't played RoboRally, the now classic game of programmed turns, then this next clip from GenCon 2011 probably won't make any sense to you. However, if you have, bask in the awesome. If the brutally cutthroat Age of Steam hooked up with Princes of Florence and its very limited actions and then had a really Euro baby that was delivered by the balls-against-the-wall Agricola, you'd probably get something like ITYOTD. 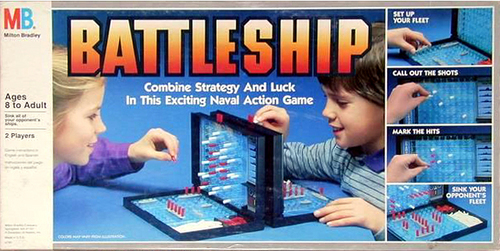 It's painful, viciously strategic, and pared down to its brutal agonizing essence. I like it. A LOT. In my second game I was nice and didn't starve two other players of rice which would have killed the majority of their people. For that I lost to both of them. Lesson learned. TOTALLY UNRELATED SIDE NOTE: Stephen Finn of Dr. Finn's Games is trying to get some honest feedback on the design of his upcoming game Merchant of Death. And he's giving away a bunch of free copies of his great card game Biblios in a contest for anyone who responds. Check it out here and help out a great indy game developer. But NYC has got tons of amazing things to see and do, including, of course, a visit to the Museum of Modern Art. 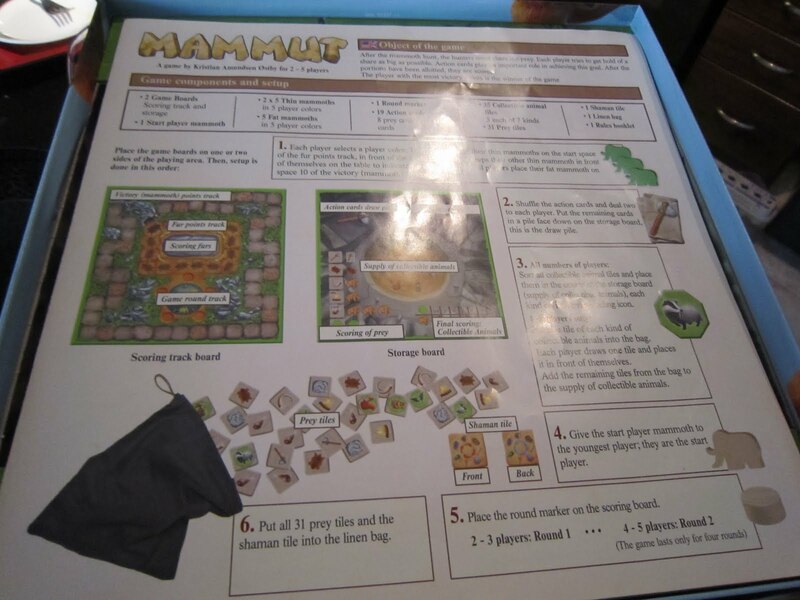 And MOMA is looking especially cool now that they have a life-sized board game to participate in. Now I really have to get there.